I am always impressed with TheVeganKind boxes, but the March box is by far one of the tastiest yet! 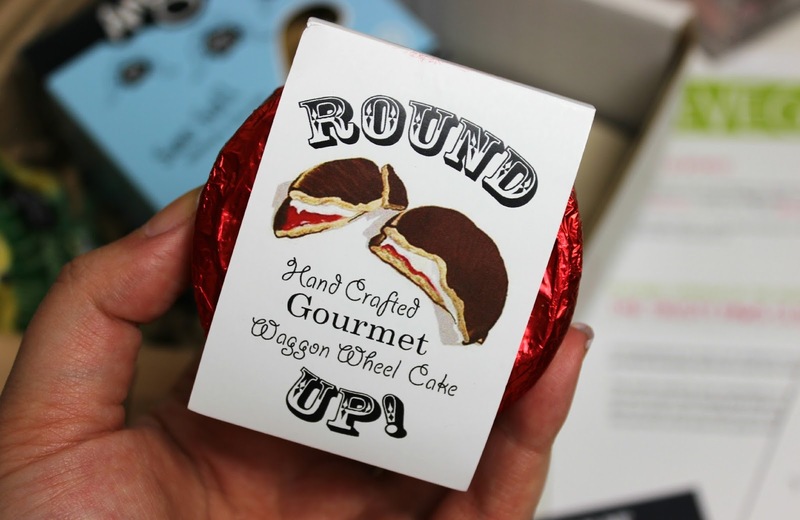 My favourite treat in the March box was easily the Ananda Round Up Gourmet Waggon Wheel Cake, £2.50. Hand-crafted in Derbyshire, which makes me super happy as I grew up in Derbyshire myself and always love finding out about Derbyshire based brands, it was far more delicious than a traditional waggon wheel. Dairy and gelatine free, it's a scrumptious waggon wheel cake with a delicious marshmallow and strawberry centre, rolled and drizzled in dark Belgian chocolate to finish. Seriously, this was amazing! 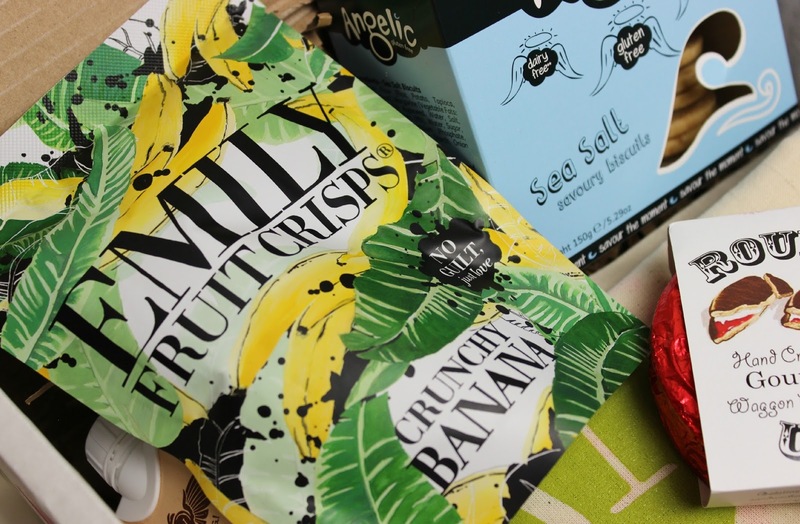 Another seriously delicious treat inside the March box is a packet of Emily Fruit Crisps Crunchy Banana, £1.99, which was possibly one of the tastiest ways to eat banana in 'chip' form. Unlike banana chips which are quite hard, these were light and crunchy whilst still tasting of fresh bananas. Yum! 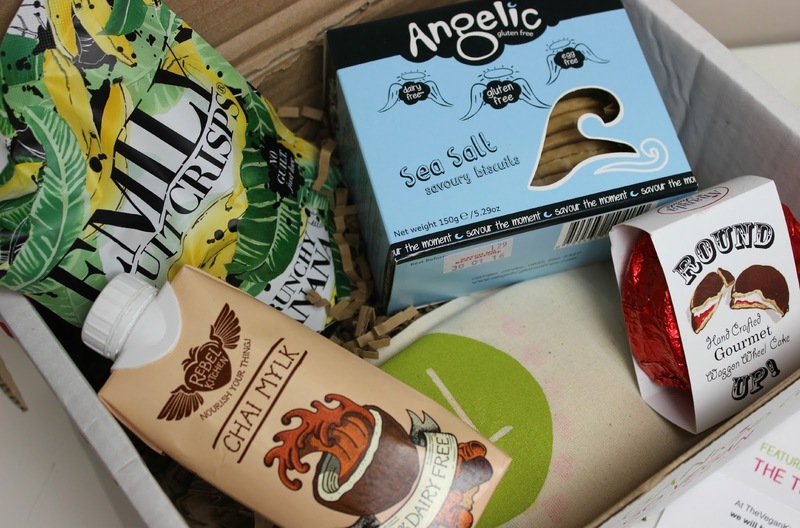 More on the savoury side, the March box includes a box of Angelic Gluten Free Sea Salt Biscuits, 100g £2.59, which I've been indulging in a couple each night as a treat and I am completely addicted! Made with gluten free oats and a pinch of sea salt, their savoury biscuits which can be eaten as they are or topped with whatever you desire. Personally, I love them as they are! 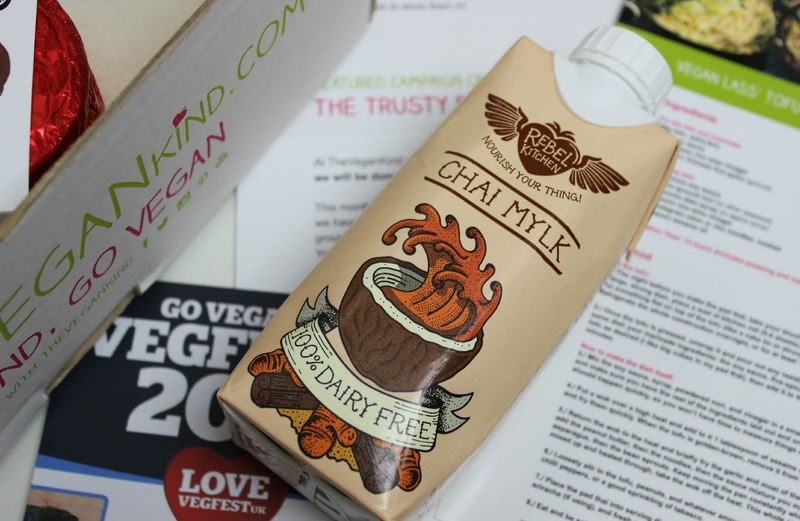 I'm a big fan of Rebel Kitchen and the March box gave me the chance to try a flavour I haven't had before, with a carton of Rebel Kitchen Chai Mylk, £1.89, which when drunk chilled straight from the fridge, is so darn tasty! A chai tea mylk with a coconut base and blended with spring water from Somerset, it made a refreshing change from my usual cuppas. The final product inside this month's box is a TheVeganKind Tote Bag, £3, which has been perfect for our little essential shopping trips to the local shop, spreading the word about TheVeganKind with a 100% cotton bag. A brand new product from The Vegan Kind, subscribers will be the first to receive a TVK tote bag, before they go on sale in the online shop as well as at vegan festivals that TVK attend this year! As with every month, there's lots of extra little features inside this month's box. There's a recipe card for a Vegan Lass Tofu Pad Thai, which looks incredibly tasty and is definitely tempting me to give tofu another chance. There's also leaflets all about Vegan Fest, and of course - information on this month's chosen charity to receive 10p from every TVK box sold this month. This month the charity is The Trusty Paws Clinic, a Glasgow based charity created by a group of fourth year veterinary students who offer free treatments as well as food and blankets to homeless dogs in Glasgow. How amazing is that?! I'm super chuffed with the March box*. Everything was so tasty and it was so hard resisting the urge to devour every single thing the day it arrived. 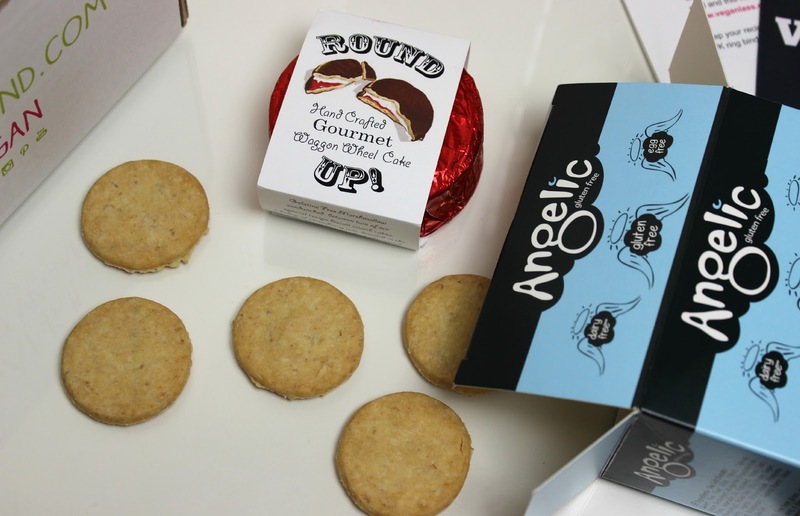 The Ananda Foods waggon wheel cake was by far my favourite taste wise, and I adore the Angelic sea salt biscuits, so tasty! TheVeganKind costs £10 a month plus p&p, available not just to the UK but internationally too!. You can find out more and subscribe here. Everything in this box looks so tasty! Loving the packaging more than anything! Everything looks really different, and cute. Ohh wagon wheel cakes, what a old school treat!